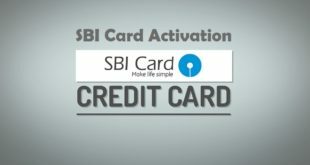 Home / Credit Card / How to Apply for SBI Credit Card ? 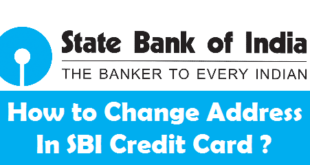 Apply for SBI Credit Card : State Bank of India is the largest bank in India with its headquarters in Mumbai. Not only does it provides wide range of banking services, but also offers a variety of SBI Credit cards to meet the needs of consumers of all income group. So, whether you are Salaried, Self-Employed, a business owner or a Student, SBI has a Credit Card for each one of you. Before you jump to any conclusion you must know a few details about SBI Credit Cards. 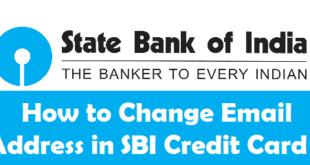 Today, we will take you through the step by step procedure on how to apply for SBI Credit Card ? How to Apply for Credit Card in SBI ? First thing to do while applying for a Credit Card is to check your eligibility. Think if you do most of the formalities at your end and didn’t even check if you are eligible for the SBI Credit Card or not! So, its always a good practice to check your eligibility to apply for Credit Card in SBI. Applicant must be over 18 years of age. Applicant must have a good credit score with no loan/credit card defaulting. Depending upon Salaried or Self-Employed/Business Professionals the documentation and charges might differ. You can compare features and benefits of up to three SBI Credit Cards at a time online. This feature can help you to get a better idea to apply for SBI Credit Card. Use this link to Compare Credit Cards in SBI. 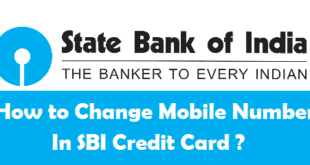 You can also check from the list of SBI Cards given below. At any point of time you can talk to SBI Card Helpline Number((Prefix STD Code)39 02 02 02 ) or Visit any SBI Branch to know more about any SBI Credit Card. Personal Information : Name, Address, Occupation, Education Level, Date of Birth, Email Address, Gender, PAN Number, Mobile or a Landline telephone number. Professional Information : The name of your Employer, Company Address, Work Industry, Designation, and the number of years you’ve been employed at the current company. Address Proof : Passport, Voter ID, License, UID Aadhar Number,or any acceptable document. Other Documents : PAN Card, Salary slips/Certificate for last 3 months, Income Tax Return document, Latest bank statement indicating salary credited for minimum 3 months. How to get SBI Account Statement ? How to Know SBI Credit Card Limit Online ? 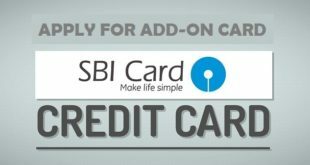 The quickest way to apply for SBI Credit Card is through SBI Card Official Website sbicard.com. A lot of online applications for SBI Card have only two pages of information to provide. Give all the required details as requested. Once you agree to the terms and conditions, submit the application for processing. Remember not to double-click! This could result in an error. Alternately, You can also call SBI Card helpline at 39 02 02 02 (please prefix the STD Code of your city) or visit the nearest SBI branch to apply for SBI Card. If your application is approved online, SBI executives will get in touch with you within 2 working days to inform you about the all the documents you need to submit. The executives will also set an appointment with you to collect the required documents from you. Once you have submitted all your necessary documents, it will take up to 21 days to process your SBI Credit Card application. Final approval of your SBI Credit Card depends on the documents you provide. How to Check SBI Credit Card Application Status Online ? How to Know Credit Card Due Amount in SBI ? How to Check SBI Credit Card Outstanding Online ? Previous What is a PAN Card, its Structure & Uses ? Can I get credit card I am retiredd defence pensioners.draw 17500pm own house no loans.need for emergency situations. You can get a Credit Card on your Pension. Also, you can get a Credit Card against fixed deposit (If you have any). If your salary is more than or equal to 20 K, you are eligible to get a Credit Card from SBI. 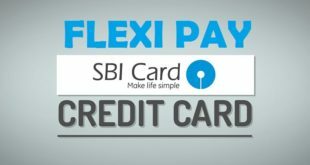 Whats the take home salary required for SBI credit card? The salary is quite low to get a Credit Card. You can still try with SBI. Sir I am working in private firm.At present am getting 24000 per month. I want creditcard for online shopping. You can get SBI Credit Card easily. Go ahead and apply for it. You can get a SBI Credit Card against FD. Open a Fixed deposit of minimum 20,000 and you will get credit limit of 70% of the FD Amount. Will sbi issues credit card based upon other company credit card? Will they check Other company credit card? Why because some mediators are asking my credit card details front side Xerox of My other company credit card and Credit card statement too…. I am getting 33000 as THS salary…. Can I get SBI Credit Card ???? If you have an FD Amount of 20,000 or more in SBI, you can get a Credit Card against FD. hello, my salary is 13,500 pm . can i get SBI credit card?? Hello sir, I am employed in Paramilitary (MHA),Rank Constable and I receives Net Salary ₹ 25K per month . I have Personal loan and would like to get credit card from SBI. I had a conversation via phone to one of executive of my nearest SBI Branch. He said I need to open an FD of 20K and they will avail me only 12K limit. So, Dear Admin kindly suggest me which SBI Credit card is best suitable for me and please clear my doubts regarding FD. If you open a FD of 20k you will get a Credit Limit of Rs.14000 (70% of the FD Amount). Some banks also offer a Credit Card against Loan, you can enquire if they can offer you a Credit Card against your Personal Loan. This card would be having higher credit limit. hello sir, my daughter is a student in twelve standard and her age is 17teen years so if i apply her a credit card by making fixed deposit so she is eligible for the credit card please let me know.thanks. Your daughter must be at least 18 to own a credit card from SBI. How to get i credit card….i am a student ….i have completed my graduation nd now i am prepairing for banking sector…so plzz tell me…i get or not credit card…..my banking account statement also better..
You wont be able to get a Credit Card based on your Bank Account Statement, either you should be a salaried employee or you must have having loan with SBI. The option left with you is to open a FD of minimum Rs.20,000. And you will get a Credit Card against that FD. Hello sir…my self sujay i m having savings ac with sbi…can i get credit card??? hello ,,my salary is 15000/- can i get credit card. You are not eligible on the base of your salary. Against an FD of Rs.50,000 you can get a Credit Card with a limit of Rs.35,000. I recently completed my graduation and I want to apply for a credit card. I am still unemployed but I have been working on an online portal since 2 years where I can make about 20,000 INR per month. The income depends on how much time I devote, the more time I spend the more money I can get. I don;t have any balance in my account right now. Am I eligible to get a credit card in this scenario ? I am working as a teacher in private school my salary is 30,000 Rs. I am planning to FD 50,000 in SBI . Is it possible to get credit card….and another doubt is I want to buy laptop which price is 60,000 Rs through online shopping….is it possible……then monthly instalment is 5500.Rs please inform me . If you make a FD of Rs.50,000 your Credit Card limit will be Rs.35,000. The EMI of Laptop may be Rs.5500 but your limit must be at least the amount at which the laptop is costing you i.e., Rs.60,000. For getting Rs.60,000 limit, you must have a FD of at least Rs.86,000. I don’t have any account in SBI. Am I eligible for getting credit card? SBI will need your last 3 month’s bank statement which reflects your Salary Credited into your account. You can still consult the bank. But I think its better to wait for 2 more months and provide them 3 months bank statement. I AM STUDENT STUDYING AT PRESENT.I AM GOING FOR A PART TIME JOB AND IAM EARNING RS.4000/- PM.CAN I GET A SBI CREDIT CARD. i am working in corporate company my salary is 18500/- can i get credit card? i have HDFC creadit card in that base can i get sbi card ? Yes, you could get a SBI Credit Card on the base of your HDFC Credit Card. SBI account is mandatory?CSP SBI account is ok or not? Having an Account in SBI is not mandatory to get a Credit Card from SBI. I’m a drawing teacher..I’m earning 6000/- pm…can I eligible for SBI credit card???? In how many days , i can get credit card. Suppose I apply, after how many days i can get credit card. Once your Application gets accepted you will get it within 10-15 days. if i am make fd today,will i apply tomo fpr credit card? Yes, you can apply for the Credit Card against FD as soon as you open the FD. SBI prefers Salaried Employees for Credit Cards. As you are self employed it is a better idea to get FD in SBI and get a Credit Card against it. You can surely get a SBI Credit Card. i am getting 14000 k , can i eligible for sbi credit card???????? Usually SBI accepts applications of applicants whose salary is more than Rs.20,000. You can still try contacting one of the nearest SBI Branch. It doesnt matter where you have your Salary Account. With 37 k/month Salary, you can easily get SBI Credit Card. I am the teacher of private institute and my per month income is more than 20k Can I apply for credit card. Plz sir explain the whole process of this. 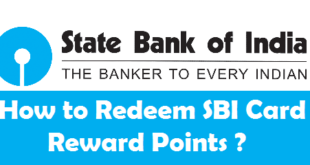 What are the requirements to get SBI credit card? On the bases of my pension account? Sir, i am studied in iit kharagpur. I have a account in sbi bank in iit. Can i get credit card of sbi…. Hi! My salary account is in SBI and my salary is Rs. 48000 per month. I have not taken any loan till date. I had applied online for sbi simply save credit card but it was rejected by SBI. I am not able to understand the reason. Hello sir my Is miamkshi ..I m govt employe .my slry is 19950 rupees .. I want a Sbi credit crad ..
am i eligible for SBI credit card.. I would like to apply for IRCTC SBI PLATINUM CARD through fixed deposit, Kindly reply minimum amount for FD to get this card. They will check for your Bank Statements and so salary in cash wont be counted. my salary is credited in sbi bank and my salary net is 15000 can i get credit card in any way. Can i obatain a sbi credit card on fixed diposit. Kindly tell me the amount. And i am not tax payer or salried emplyee. Yes, you can get SBI Credit Card against fixed deposit and you don’t need to be a tax payer or salaried employee for that. You just need to have FD with SBI of at least Rs.20,000. SBI gives Credit Limit of 70% of the FD Amount. So, if you obtain a Credit Card against the FD of Rs.20,000 you will be getting a Credit Limit of Rs.14000.